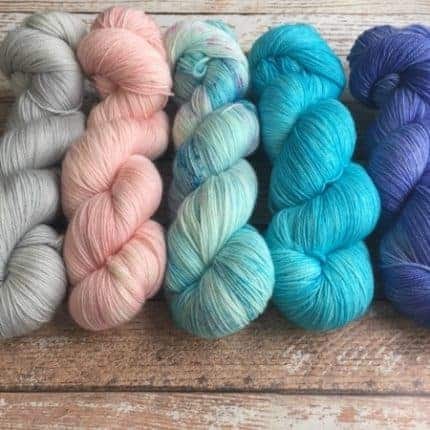 Five different Fading Point kits are available now for preorder. 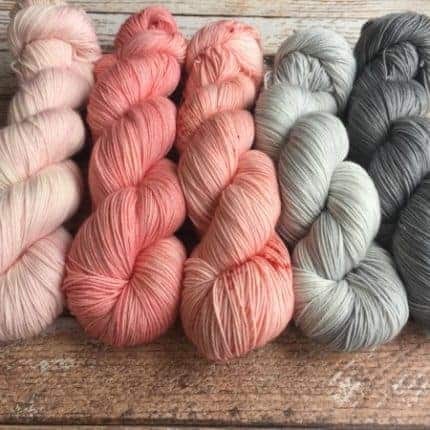 Have the choice between three bases, Isabel (Superwash Merino/nylon), Ines (Superwash Merino 3 ply) and Maria (Superwash Merino single ply). 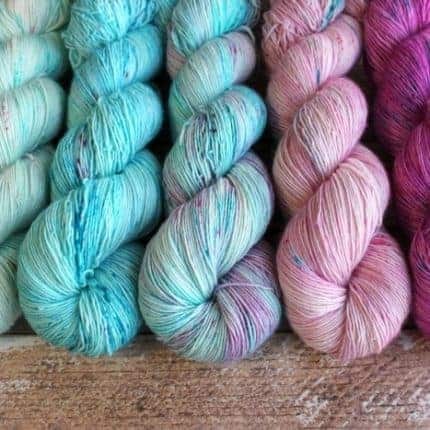 Turnaround time is one to two weeks, but we work hard to get the yarn out to you as soon as possible. 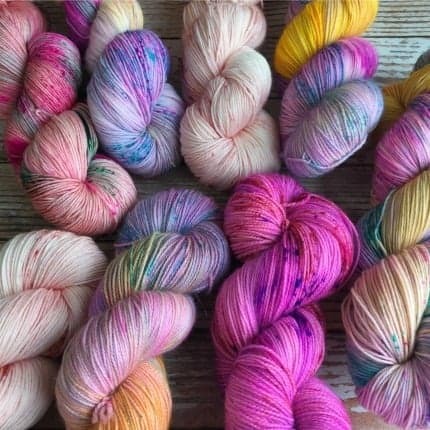 Colorways shown here will be available individually in an upcoming update, so stay tuned for that! 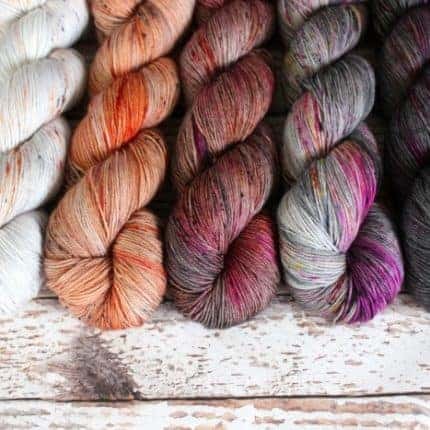 Yoshi & Lucy has released preorders for Joji Locatelli’s upcoming mystery wrap kal. Sign-ups are now open with the first clue release on May 12th. It is a rectangle shawl and uses five full skeins. Using a color guide from Joji I have put together two kits. They have been approved by Joji. 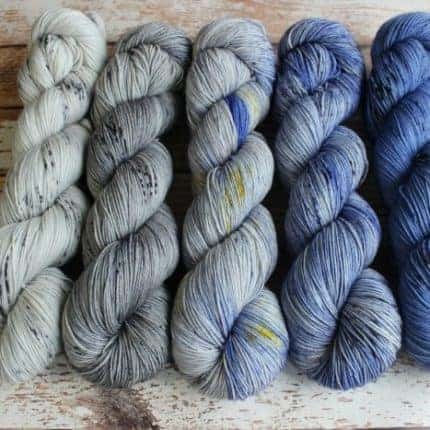 This kit includes the five full skeins that you will need to make this shawl. 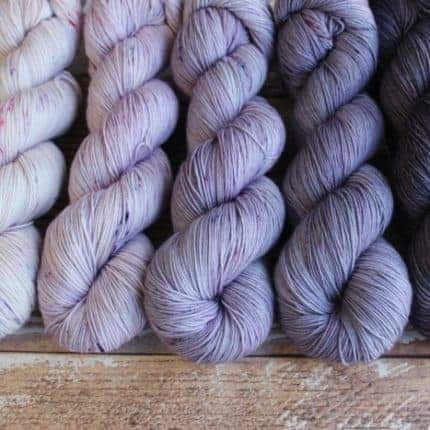 Have the choice between two bases, Isabel (Superwash Merino/nylon) and Ines (Superwash Merino). This kit has been discounted. Full price of set is $120. Kits will start shipping on May 1st with enough time for the first clue release on May 12. Thank you for checking out the shop! 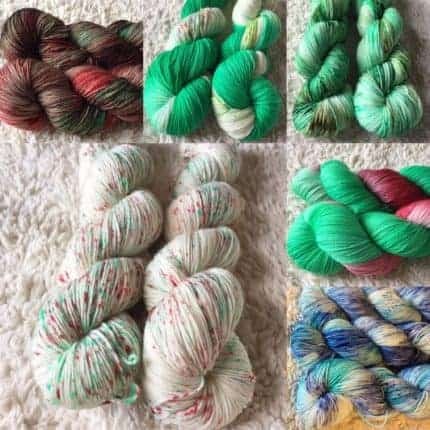 10g Mini skein Harry Potter Spells Set. 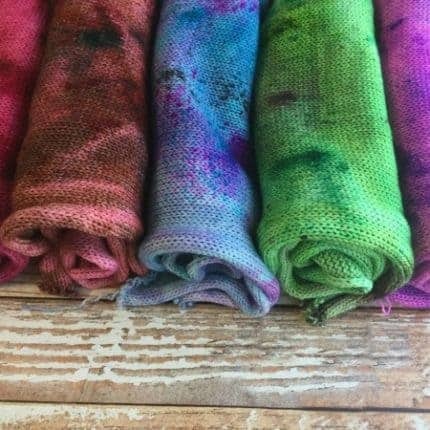 Sock blanks, also inspired by Harry Potter, will be added to the shop for the first time. Thank you for checking the shop out! The shop is stocked with a spring inspired collection. The shop is stocked with the 2016 Holiday Collection. 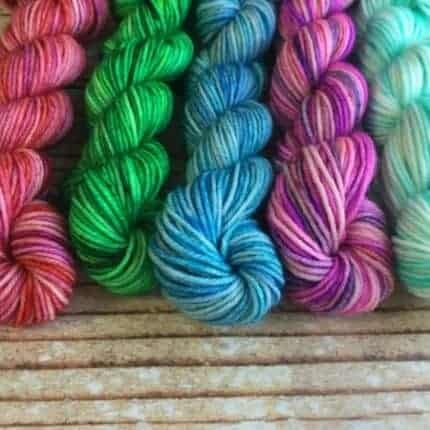 Colorways are also available as a mini skein set. Shop is also full with non-holiday colorways that are ready to ship and dye to order. 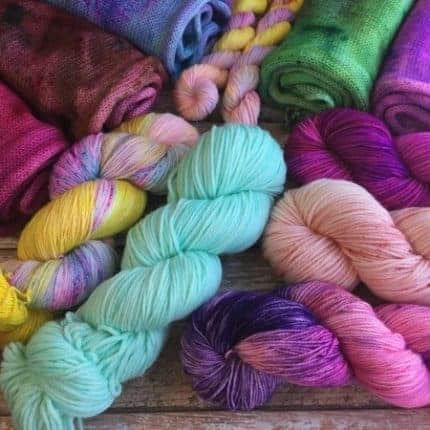 Willing to dye up custom orders as well. Just send me a message! Thank you for checking us out!